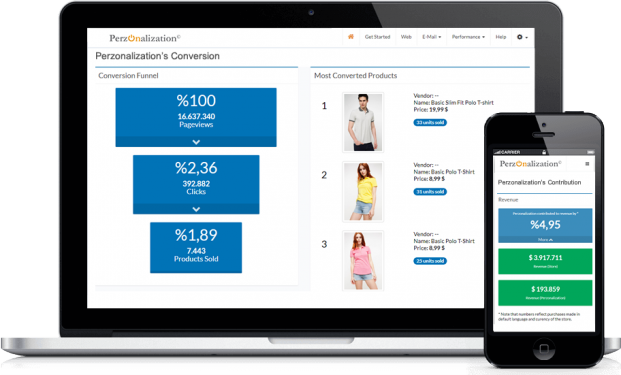 Track Perzonalization's contribution to your store in real-time. See performance of web, mobile and email recommendation widgets individually. Track converted products and conversion rates for all pages, widgets and triggers, in real-time. 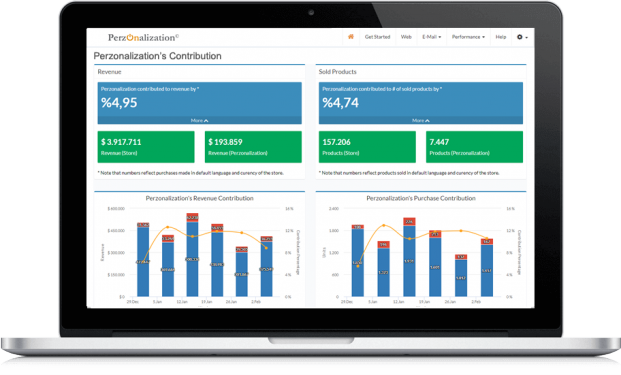 Track Perzonalization’s revenue and sold item contribution to your store for all pages, widgets and triggers, in real-time. The difference after personalization? Track the uplift, attributed to Perzonalization, in real-time.